Idaho small business owners have a new online option for payroll software: Patriot PAY, offered by Patriot Software, Inc.
“If you offer direct deposit, you can run your payroll from your smart phone while you’re out to lunch,” said Wendy Smith, payroll manager for Patriot Software. Idaho employers can now save big on their payroll costs with Patriot PAY, the payroll software designed exclusively for American small business owners. Patriot PAY was developed by Patriot Software to take the hassle out of running payroll for small businesses with fewer than 50 employees. The payroll service accurately calculates payroll in Idaho as well as 21 other states in the U.S., including Montana and Utah. Because Patriot PAY is a software as a service (SaaS), Idaho employers can conveniently run payroll online anytime, anywhere. Whether they’re in a farming community or in the business of developing new technology, Idaho small business owners will find that Patriot PAY adapts well to their diverse small business environment. Patriot PAY combines the convenience of cloud computing with options such as direct deposit, printed or handwritten paychecks, or even online bill pay through a bank. Small business owners in Boise, Lewiston, Pocatello, or anywhere else in Idaho can run payroll anywhere they have online access. Patriot PAY is a smart choice for small businesses on a budget, with monthly costs starting at just $10 a month and no hidden fees or start-up costs. Idaho employers can add on the MY Patriot Employee Self-Serve (ESS) option to give their employees online access to their own payroll records through a dedicated website. TaxBeGone, the optional payroll tax filing service that works with Patriot PAY, can also save Idaho employers valuable time and effort. With TaxBeGone, there’s no need for an accountant to process payroll taxes or spend precious time doing it themselves. The TaxBeGone service gives customers a break from the worry of paying and filing payroll taxes, said Doug Simmons, payroll tax specialist for Patriot Software. “TaxBeGone can save you time, money, headache, and hassle,” Simmons said. Patriot PAY offers built-in help screens, training articles, and instructional videos throughout, as well as access to Customer Support online or by phone. Use the Pricing Calculator to figure the monthly payroll cost based on the number of employees. Take a free 48-hour test drive of Patriot PAY on their own or a guided tour with a Patriot customer support representative. Small business owners can use the sample data or fill in their own to run payroll, add and edit employee data, and explore the MY Patriot ESS option. 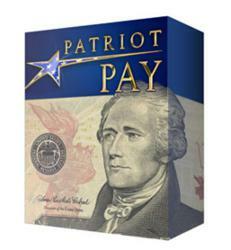 Sign up for Patriot PAY and receive the first month free. Patriot customers can always add, change, or end any of their services anytime with no obligation. Patriot Software, Inc., located in Canton, Ohio, helps simplify employee management with online software applications for Payroll and Employee Payroll Taxes. Our online payroll software gives customers freedom to access their business data anytime, anywhere. For information on all of our products servicing Idaho, contact Patriot Software, Inc., at (330) 455-9218, or visit our Press Page.